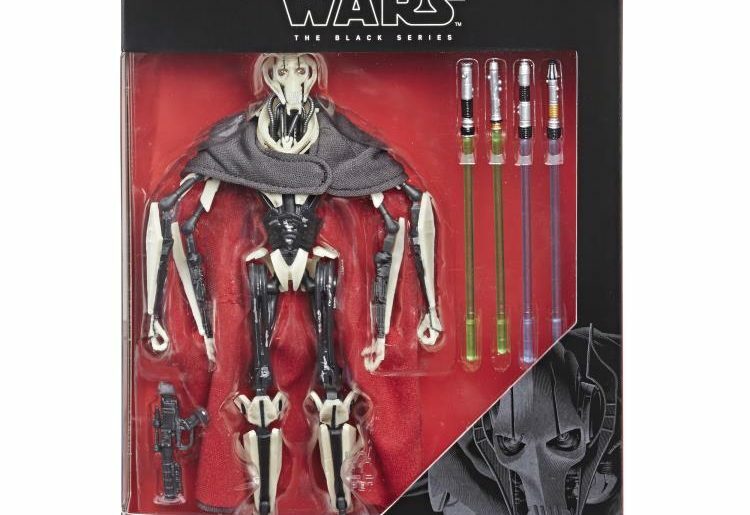 Star Wars toy collectors a new, and soon-to-be highly coveted Star Wars The Black Series action figure is now available to pre-order in the form of the 6-inch General Grievous. This little gem of a Prequel figure is now available from Entertainment Earth and Big Bad Toy Store, and he should start shipping this March. 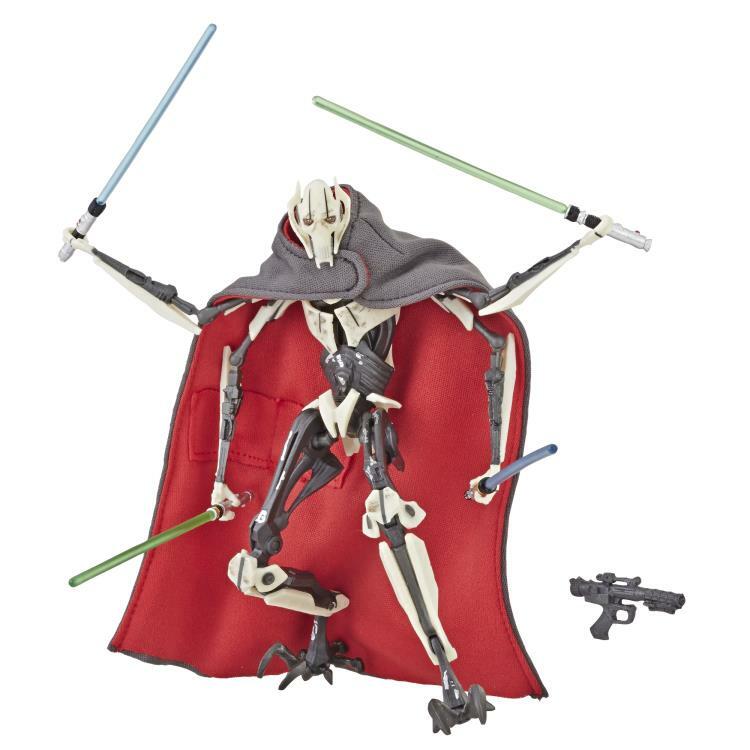 Grievous comes with a soft goods cape, four fallen Jedi lightsabers, and his blaster. He has some light weathering affects applied, and looks to have the digital face paint tech applied. He’ll set you back a bit more than standard Black Series figures though. He’s retailing for $29.99, or for a bit higher over on BBTS in case other retailers sell out. 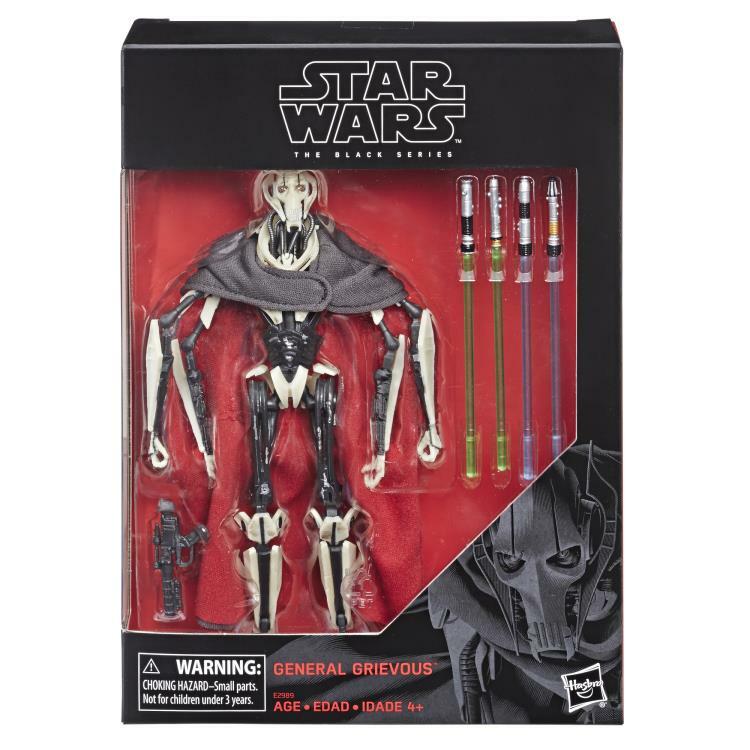 He looks absolutely fantastic, and will make a great addition to any Black Series collector’s collection, so make sure to hit the pre-order link above to reserve your Grievous today! Now we just need the B2 Battle Droid, and some Magnaguards to go with him!